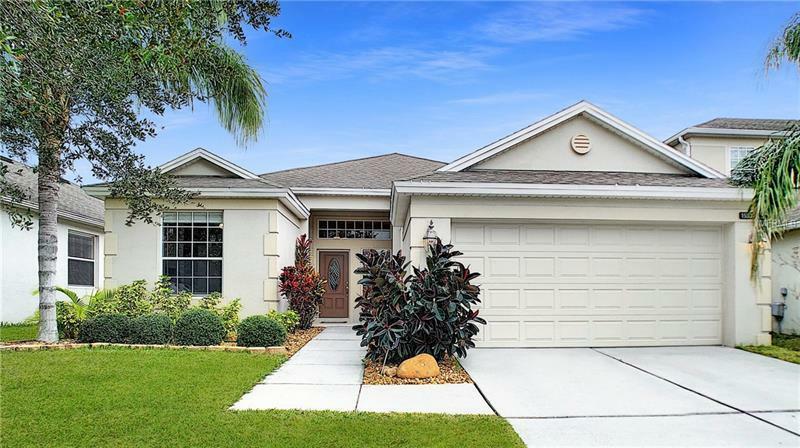 Beautiful move in ready home in the gated community of Bella Vida. Situated on a spacious completely fenced in lot, this is the perfect home! Features include upgraded air conditioning system with energy efficient 21 SEER rating with humidity control, laminate wood flooring, water softener system, upgraded stain resistant stain resistant carpeting in the bedrooms, screened in patio overlooking the large yard and neutral paint colors throughout. The kitchen has durable Corian Counter tops with stainless steel range and refrigerator. The master bedroom has a spacious walk-in closet, dual sinks in the master bath and a separate tub and shower. Currently zoned for highly rated schools, Timber Lake Elementary, Timber Springs Middle School and Timber Creek High. The community offers many recreational amenities like tennis courts, playgrounds, parks, walking trails and basketball courts. Located in an ideal location with easy access to major highways, restaurants, and the University of Central Florida. Schedule your private showing today!